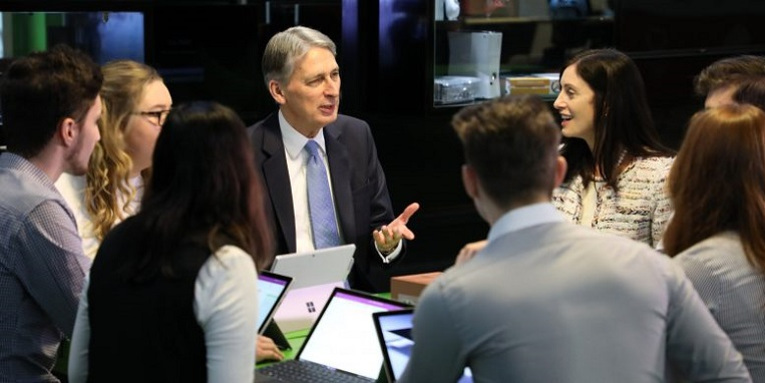 Who benefits as Microsoft launches UK Digital Skills Programme? The UK has a long history of supporting technical talent through training and development programmes, as well as through apprenticeship schemes and higher and further education courses. At Conspicuous, we know all too well that candidates can’t be too well trained in the Dynamics world, with technologies evolving on an on-going basis. Ultimately, Dynamics professionals need to be prepared to work hard and stay ahead of the curve through training and development. Earlier this week, Microsoft announced a national skills program to boost digital skills of people in the UK. The UK currently employs 5.442 million people. That’s 12,000 higher than at June 2016, but 10,000 lower than at September 2015. Last week, Microsoft announced that it is planning to train 30,000 UK public servants – for free – in a broad range of digital skills. This is set to help the UK government and other public sector organisations to deliver more efficient, effective services to UK citizens. Microsoft’s current mission statement is to drive productivity in individuals, teams and whole businesses through transformative technologies. This investment is set to deliver on that promise. Much of this training is likely to revolve around Microsoft’s key productivity offerings: Office 365, Microsoft Cloud and – of course – Dynamics 365. It seems like Microsoft is throwing its full weight behind the UK, which – we’re sure – will be a benefit not just for those working in the public sector, but to Microsoft, too. Historically, the UK has been a strong territory for the corporation, so it is likely that Microsoft knows their investment will be returned if they spend correctly in the right people using the right tools. As it happens, Microsoft has just started to promote Dynamics 365, its new CRM and ERP all-in-one. It’s a first of its kind and we’re confident that this will be a large part of what the business has in mind for the lucky 300,000. Here at Conspicuous, we’re really excited by the prospect of additional training and development investment by Microsoft here in the UK. It signals strength in the UK talent pool, as well as in the UK’s economic competitiveness. From our perspective, it means that there will be more Dynamics professionals entering the talent pool, and a more highly skilled workforce. If you’d like to talk to us about your next job in the Dynamics arena, get in touch with one of our helpful consultants today on +44 (0)1483 233 000 in the UK or +1 646 202 1761 in the US, or contact us online. Tagged: Digital skills, Dynamics 365, Public sector, Training.